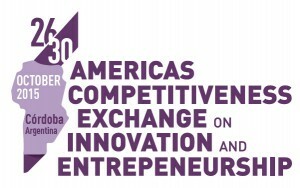 Madison, WI – Madison Region Economic Partnership (MadREP) has been selected to participate in the Fourth Americas Competitiveness Exchange on Innovation & Entrepreneurship (ACE), a high-level visit taking place from October 26 to 30, 2015, in the Province of Córdoba, Argentina. Paul J adin, President at MadREP, and Michael Gay, Senior Vice President of Economic Development at MadREP—who are among just five delegates from the United States selected for the tour—will promote international trade between Argentina and the Madison Region, establish long-term global/regional partnerships, and see the results and best practices of economic development initiatives that strengthen innovation and entrepreneurship ecosystems. Jadin and Gay’s participation comes on the heels of the Third Americas Competitiveness Exchange in April 2015 when MadREP hosted 50+ foreign dignitaries for a tour that prominently featured Madison. The exchange will consist of a five-day tour of Córdoba’s innovation and competitiveness hubs, which are currently leading their respective fields and taking Córdoba’s competitiveness to a world-class level. In addition to meeting with Argentina’s foreign trade ministers and more than 30 high-level representatives from several countries of the Americas, Jadin and Gay will tour incubators, local tech-based companies, agriculture and dairy production sites, local branches of international corporations, research centers and public-private initiatives, most of them related to medical technologies, high precision measuring instruments for mining and industrial applications, agribusinesses and manufacturing sectors. The activities featured in the one-week tour have been selected to increase linkages between Madison Region and international actors, such as companies, researchers and government officials, in order to foster business opportunities and spark new collaborations among stakeholders. MadREP is seeking input and leads from regional companies that wish to make connections with Argentinian companies as a result of this trade event. Interested companies and organizations should contact Michael Gay at 608.571.0402. The organizing institutions of the exchange are the Ministry of Industry, Trade, Mining and Development of the Government of the Province of Córdoba, Argentina; the Permanent Mission of Argentina to the OAS, the Government of Guatemala, as Chair Pro Tempore of the RIAC 2015, and the Organization of American States (OAS) as the RIAC Technical Secretariat; in collaboration with the U.S. Department of Commerce. Crea FabLab: a business incubator that connects entrepreneurs, professionals, students and creative minds with different interests in order to think, develop and prototype ideas that create value for society. National University of Cordoba’s Business Incubator: supports the creation of technology-based companies that promote the development of the region and generate high-quality jobs, specialized knowledge and innovation. Promedon: an international leader in medical technology research, development, production and distribution with products sold in 60+ countries. Incutex: an incubator for technology-based start-ups that provides a co-working space and a mentorship system to help entrepreneurs succeed. The Tech Pub: an initiative to facilitate the convergence of technology and entrepreneurship. With the aim of contributing to technological sustainability, Santex Group created this space for professionals to identify and discuss technological trends. SavantPharm: a high-tech pharmaceutical company that mostly produces antibiotics and soft capsules, with a productive capacity of more than 150,000 units per hour. Arcor: a multinational corporation based in Argentina that specializes in food, chocolate, cookies and ice cream elaboration. Spinlock: a technology-based local company focused on industrial applications of magnetic resonance and nuclear quadrupole resonance. Aceitera General Deheza: an integrated agricultural-industrial complex specialized in the crushing of oilseeds for the production of vegetable protein meals and pellets, edible oils, vegetable oils as well as biodiesel and ethanol. ACABIO: the most modern corn-bioethanol processing plant in Argentina, with a productive capacity of 125,000 cubic meters a year. Due to the importance of its inputs and sub products, it has a key position in many of the regional value chains. ESIL (Spanish acronym for “Superior School of Dairy Production”): a local institution that runs a teaching facility as well as a research center specialized in dairy production. The Villa María Cheese Cluster: gathers and represents all the participants of the cheese value chain developed in the Villa María Region of Argentina. Its primary focus is to improve the sector’s competitive advantage through technology and innovation. MercadoLibre: an e-commerce platform with operations in 12 countries in Latin America and used by millions of customers who buy and sell products through the Internet. Tecme/Neumovent: an international company leading the development and manufacture of mechanical ventilators for intensive care.